In the online business there are few second chances. If your competitors are out there first, it's very hard to catch up. 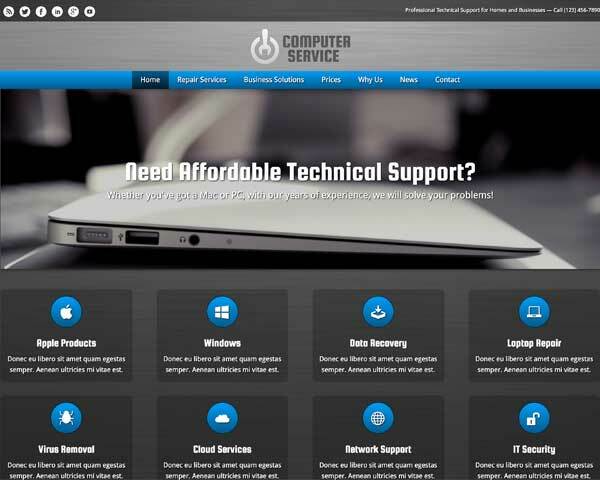 Whether your first in your region or you're one who has some catching up to do the Computer Service WordPress theme will prove to be your best bet. We've literally spend years finetuning our themes so that any business has the ability to harvest the benefits of an online revenue pillar. Chances are, people won't be willing to travel a great distance to get there computers and other technological devices fixed. 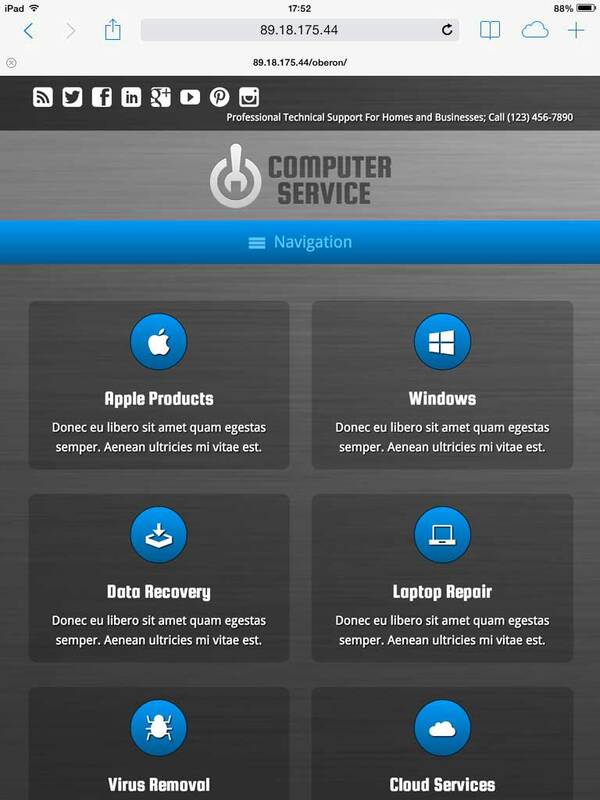 A computer service provider should be in the area. Unless they know about your existence because they heard it from somebody else, they'll turn to the internet to find out where the nearest service center is. That means that your company has got to have a website which routes the people to where they need to be. 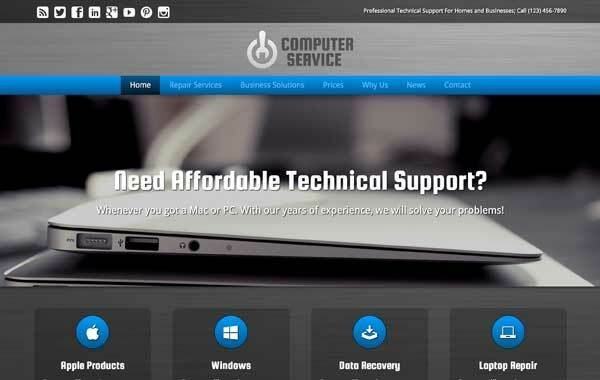 The Computer Service WordPress theme support small business operators in this respect. 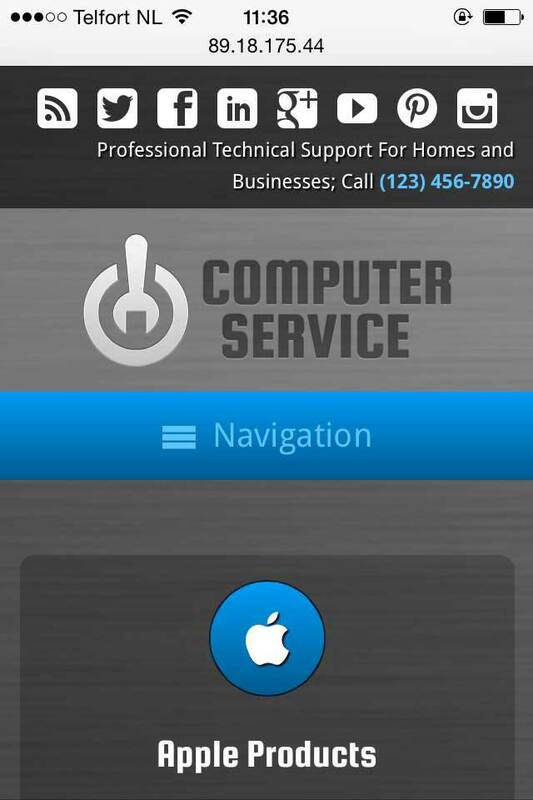 With a clear overview of your services and the main call to action where it needs to be. Besides that it offers a clear pricing overview, blog and contact section and a great editor so you'll never need to hand code anything. 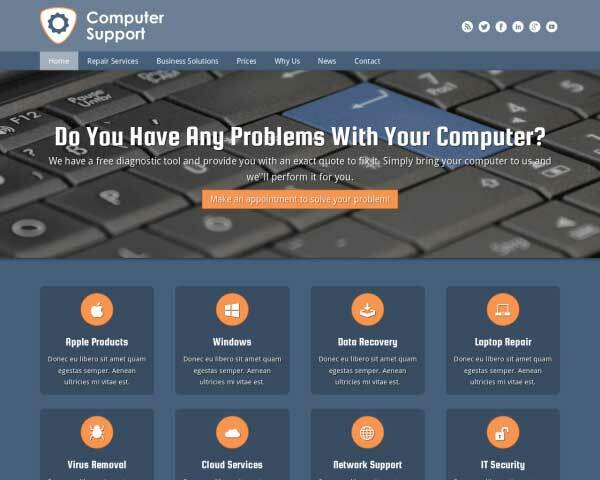 The Computer Service WordPress theme is the perfect answer for people who want to be on the internet the best and the fastest way possible. 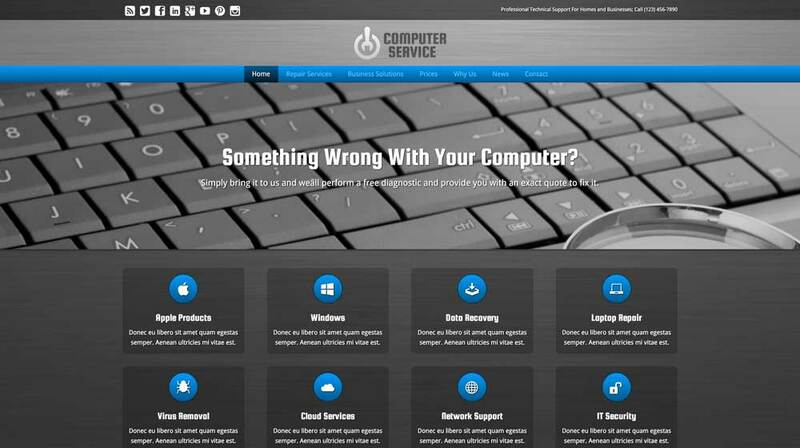 The Computer Service WordPress Theme includes a nice blog section. A very nice tool to keep your site's visitors up-to-date and use it for online marketing and search engine optimization. There's a separate section on in the Computer Service WordPress Theme for testimonials. And we've also included them on the homepage. However, you have the ability to place testimonials anywhere you like. 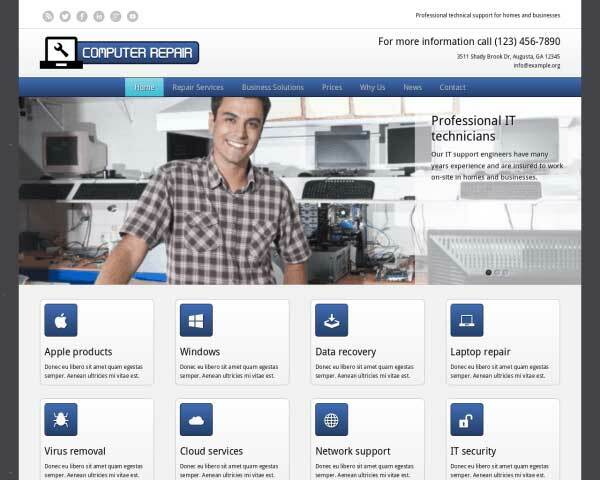 What is a computer service company that doesn't adhere to the latest web design trends. 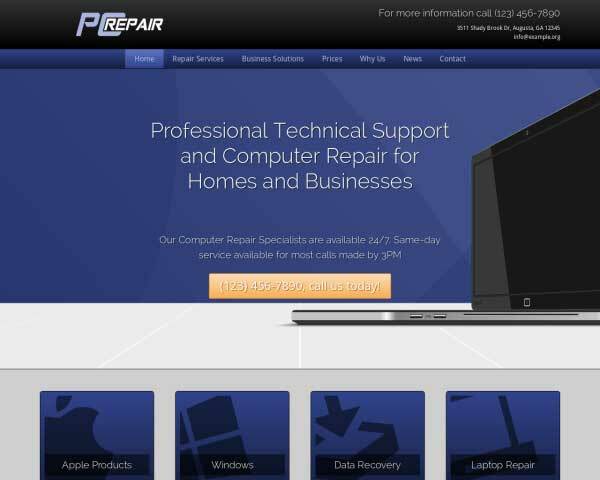 We understand that web design is completely different from fixing computers, but your clients don't care. They want to see a rock solid website that gives the best user experience no matter what device they use. 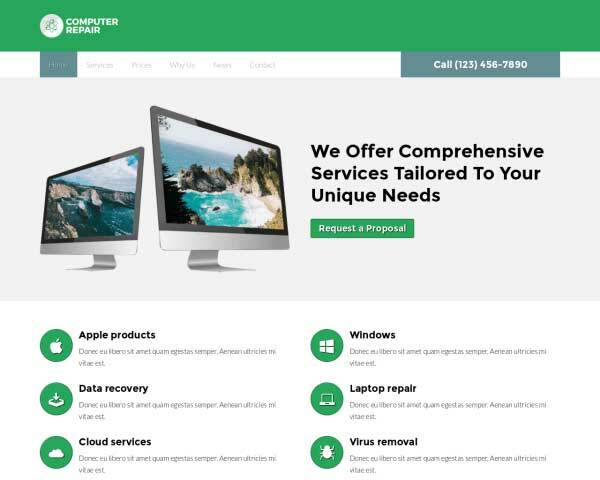 The good news is that the fully responsive Computer Service WordPress theme will do just that without any coding form your part, without any external plugins and without you ever again having to think about it. Even after you start expanding your website.